The Food & Beverage industry is a constantly evolving playing field. Practices that were acceptable just a few years ago are quickly becoming phased out in favor of faster and more efficient methods of operation. One aspect of restaurant operation that has seen the most change is that of restaurant management software. Every day new systems pop-up that are able to do certain tasks in a fraction of the time and with more precision than what was previously achievable. Restaurant management software, when done the right way, is a sure-fire way to ensure a restaurant's success. Whether it be by choosing the best POS system or even an inventory management software that saves you hours of headache, restaurant management software is something that shouldn’t be skimped out on at your restaurant. In the past, a good POS system was inexpensive, easy to use, and had one primary function – processing sales and transactions. Nowadays, POS systems are one the most powerful forms of restaurant management software a restaurant can have at their disposal. Modern POS systems act as a computer/cash register hybrid, with the ability to process credit card payments, print receipts, display information on a user friendly screen and operate as a server station. 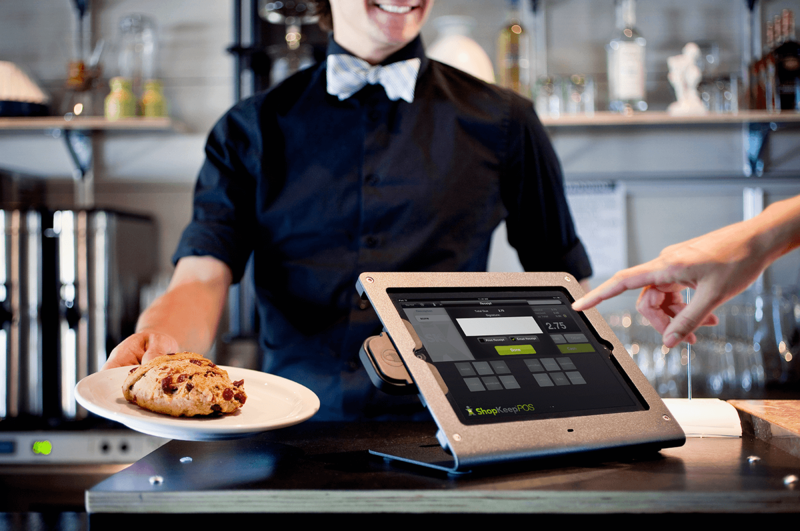 With advancements in technology, formerly bulky table top POS systems are moving towards tablets such as iPads for increased portability. Each POS system is different from the other based on the software, applications, and hardware. When looking for a new POS system for your restaurant, make sure to do sufficient research based on the restaurant’s wants and needs. Keep in mind most POS companies will allow you to try the system out for free before purchasing. Ease of use: A POS system that requires extensive training might not be the right one for you. This will lead to frustration from not only the employees but also customers who are left waiting for certain transactions to process. Price and quality: Make sure you know your business inside and out before purchasing a POS system. A modern system can be very costly and hence it should be able to handle your business volume and individual restaurant specifications to make it a worthwhile purchase. Necessary components: In addition to purchasing the software itself, do not forget to get the necessary hardware components. These include parts such as the screen monitor and any portable terminal that is linked to the main unit. Data tracking: Your POS system should contain all the programs required for not only the front of house calculations, but everything related to back of house such as inventory reports and financial tracking. Harbortouch: Provides POS software and hardware with no upfront cost and free installations. Price: $89 per month, per terminal. micros by Oracle: Leader in restaurant POS system worldwide. Price: Set up cost starting from $5,000. Square POS: Quick set up, and very social media and marketing friendly. Price: $169 for hardware, and 2.75% per transaction. Revel: Easy to use interface, built in loyalty and gift card programs. Price: Around $139/month depending on restaurant size. For restaurants taking reservations, moving from the ‘pen and paper’ method of restaurant booking to a restaurant reservation system can make an incredible difference. Using restaurant reservation software not only makes your day-to-day operation immensely easier, but also creates a better user experience for your guests. Rather than answering phones and having to manually enter information, guests can input their own information through a website interface, mobile app, or web widget. A good restaurant reservation set up will also feature an intuitive table management system. This allows restaurants to receive bookings through a multitude of channels and also to visualize their restaurant hour by hour. When choosing a reservation system for your restaurant, make sure to find one that fits your daily needs. A good system should be easy to use and not require hours of training to master. It should also be scalable and not only just fit the current requirements of the restaurant but also the future volume. It helps if all restaurant information is stored in the cloud rather than on the system itself to create a faster user experience. Restaurant Manager by Eat: Complete front of house table management system hosted on both iOS and Web. Price: $99 per month for unlimited number of devices per restaurant. As a restaurant operator, the number one priority is to ensure profitability. In the scope of a restaurant, the primary source of revenue is the food itself, and hence it’s important to know the food cost of each menu item. Food costing software facilitates the entire process by automating all calculations. A good food costing software will help keep track of your inventory in addition to providing detailed analytics for each dish. FoodCo: Fully integrates into your existing accounting software. Intuitive controls make for easy use. Price: Starting at $4,000. CostBrain: Real time food costing, allowing you to scan invoices directly. Price: From $0-$40 depending on plan. Alternatively, download this free food cost calculator excel sheet. 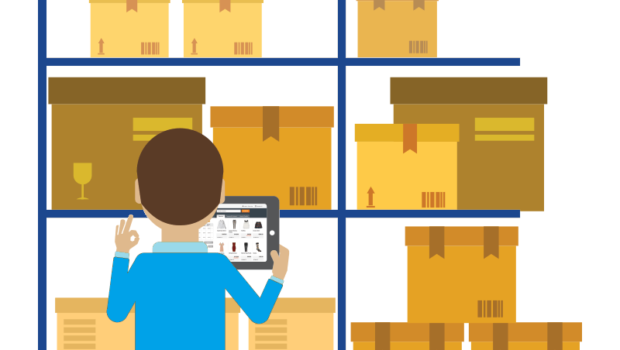 A proper inventory management system gives restaurant operators a crystal clear image of the current state of their inventory. This eliminates the need for regular inventory checks, which in turn reduces the number of human errors involved. With software automating the process, restaurants have more time to focus on running their business rather than completing menial tasks and are guaranteed the right stock at the right time. When choosing an inventory management system, it is important to have a budget in mind as some products can be incredibly costly but unnecessary for your size restaurant. It is also essential to understand the inventory challenges you face in your restaurant before making a decision. SimpleOrder: Exports directly into accounting software. Helps control food costs. Price: $19 or $65 per month. Orca: POS compatibility and financial tracking. Price: $129/ month. If you are running a popular restaurant, or just having a busy night, then you know the importance of implementing a waitlist system. 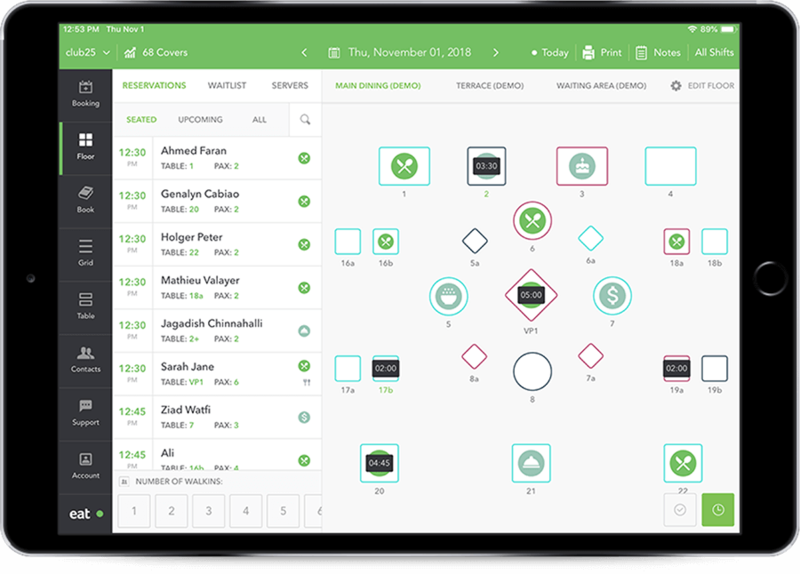 Waitlist software allows restaurant operators to quickly add guests onto a waiting list when a restaurant is full, which are then alerted when a table frees up. This is achieved through either a portable buzzer that the guest carry, or with more modern waitlist systems, an SMS is sent when a table is ready. WaitWhile: Create waitlist from anywhere and inform guests through SMS updates. Create check in stations to allow guests to sign themselves in. Price: From $0-$149/month depending on restaurant volume. Waitlisted: Integrates with a multitude of other services. Allows guests to refer friends to move up the line. Price: $60/year. Running a restaurant can be one of the most exciting and rewarding endeavors, but this will come at a price. It is easy to overlook one of the most important elements of restaurant operation – restaurant accounting. Without proper accounting practices set in place, restaurants are destined to fail. But what do you do if your budget doesn’t allow you to hire a restaurant accountant? Restaurant accounting software is often cheap (sometimes even free) and easy to learn how to use. In no time you’ll be balancing your books like a pro. 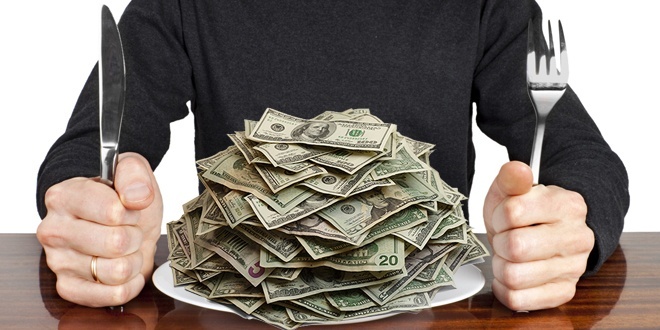 In the restaurant industry cash is king and to keep a steady flow of money coming in to balance the money going out, you are going to need to manage your cash flow. Just being profitable is not enough for a small restaurant, you’re going to need the right cash flow to make that a reality. Despite it being one of the most important aspects of financial business stability, it’s often the first element restaurant owners overlook in favor of other business offerings. If this is the case at your restaurant, find out how you can easily get your cash flow managed by using affordable cash flow management software. Restaurant efficiency is the main driver of profitability in your business. Restaurant analytics software will help you identify different opportunities to improve efficiency. Whether your goal is to sell more, improve employee productivity, cut costs, or even reduce fraud and deter theft, analytics software will allow you to deep dive into your restaurant to see all aspects of operations. A simple solution to managing employees that takes into consideration everything from pay slips to requesting time off. Allows restaurant owners to ditch the old-fashioned excel or paper-based method in favor of a faster and most likely cloud based service. Allows restaurant owners to get valuable information from guests which in turn will help make strategic decisions to increase customer satisfaction. Gives guests an incentive to return to your establishment by providing them with discounts and free meals after a certain number of visits. It also helps boost the restaurant's reputation through word of mouth. To make the process of choosing the right software for your restaurant easier, we have put together an essential checklist. Organized by front of house and back of house, this checklist has everything you need to get your restaurant up and running with the best software.